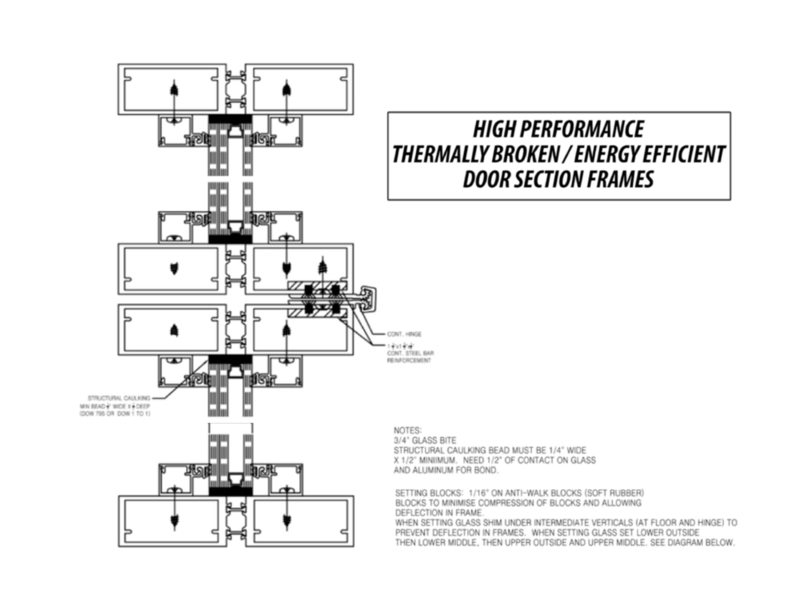 The patented Architectural Direct Drive Door System™ (Arc 3D™) reconciles custom design with energy efficient functionality. The Arc 3D™ space saving innovation supports contemporary design trends and integrates seamlessly with historic renovation projects. DoorWall Systems with Arc 3D™ allows you to convert spaces, connect worlds, and design without limits. The DoorWall engineered solution is ideal for areas that may have wall obstructions that limit the use of a standard vertically folding wall with accordion folding elements. We develop solutions to meet the acoustic challenges of variable spaces that are geometrically challenging. DoorWall Systems ensure user comfort, privacy and confidentiality by exceeding industry standards that reduce ambient noise within meeting and conference rooms. DoorWall Systems may be considered a Mirage technology that provides the luxury of transparency, metal, wood or custom cladding with clean lines, a lightweight structure into which a wide range of panels can be inserted. DoorWalls are designed to be 100% thermally efficient with 0.00 air infiltration, even at 6.24 psf. Each of these doors is thermally enhanced using a thermal isolator with interior cladding. In addition to making the door more energy efficient, the interior cladding offers the option to design a DoorWall with a combination of custom material facades / colors and thermally broken glass to match designs for both interior and exterior applications. DoorWall’s Arc 3D™ packages include the DoorWall, fully integrated door frame and integrated hardware. We have you covered from design to installation and beyond. DWS Engineers design and engineer every detail of our products to perform superbly, even in harsh conditions. The Arc 3D™ features our 3 HP, 3 phase, low-profile motor with a safety brake system, mounted seamlessly in header area. 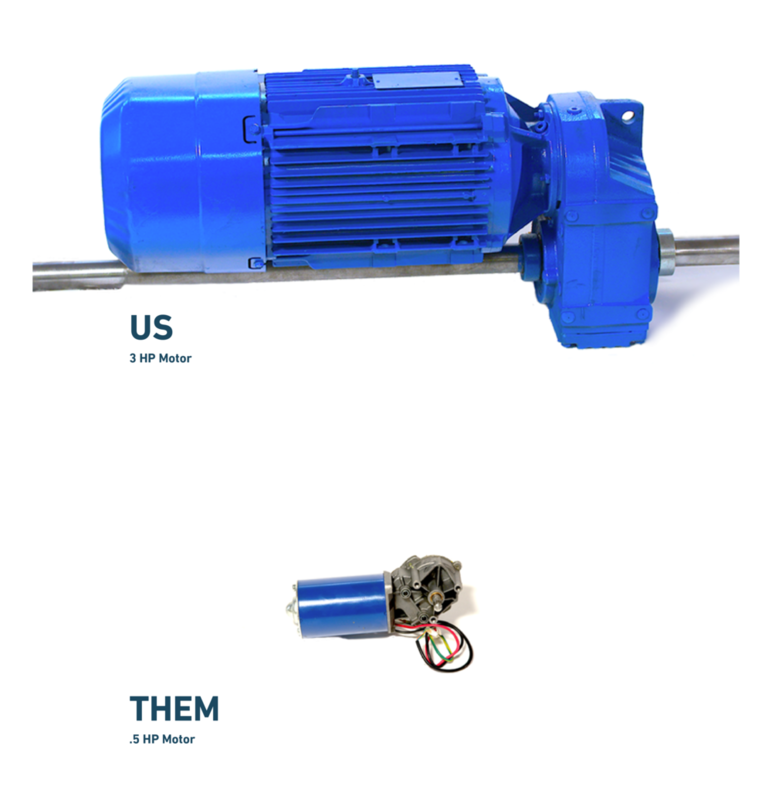 More powerful motors have increased longevity, and improved capabilities in size, cladding, and other design elements - as compared to small .5 HP standard-production motors found on the market today. Motors and control panels are simply one example of the many significant differentiating details that are part of the DoorWall Systems DNA. While small, off the shelf motors might work well for hobby shops and light duty residential applications, we believe the demand for industrial grade horsepower to effortlessly move architectural grade glass and high performance facade building materials is a necessity. Offering custom solutions for open, convertible space with architectural integration. We believe that safety is not simply a benefit, it’s a mindset. DoorWall Systems are safer by design, which is proven by the built-in safety features in every installation. The Arc 3D™ uses a Ball Nut-embedded Block system featuring a Steel Screw Drive and Nut System made of common alloy steel. This produces a true "Load-Lock" safety function as the single-sourced components are designed to work together for industrial-grade performance, zero maintenance, and a longer life. Typical commodity doors use a Steel Screw with incompatible Threaded Aluminum which will strip and potentially break when the Steel Screw Drive drops a heavy load on the lighter-weight, incompatible, threaded aluminum block. DWS Engineers pay exceptional attention to design details with proven innovative components in order to build better vertically operating doors and walls. 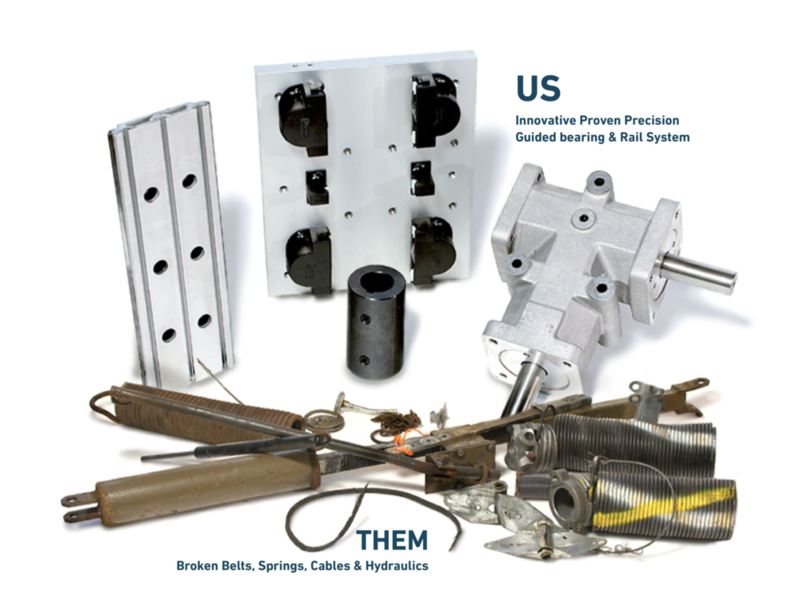 We use better drive systems, superior motors and control panels, high performance energy efficient door section frames, proven safety devices and other high quality components that you will not find in other brands. From product design and materials to workflow and tools, every element comes together to provide a DoorWall that is unequalled in elegant form and exquisite function. The Arc 3D™ drive shaft connects with gear boxes to rotate the Screw Drives. The reliable components DoorWall integrates into the Arc 3D™ design eliminates variables and produces safer, longer-lasting systems.